Our range of products include metal saws, hss saws, circular saw blade, tct circular saws and ginning saws. We are admired in the industry for offering Metal Saws. 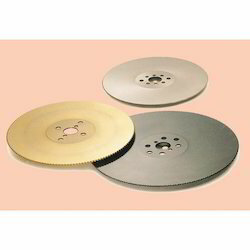 The offered metal saws are resourcefully developed by experts of market with the new technology. These metal saws are well developed as per tools market standards. Besides, our customers can have these metal saws from us in several packaging options at reasonable rates. In order to meet the diversified industrial requirements, we are offering a wide assortment of HSS Saws. The offered granulating knives are processed with the newest technology & our experts who use strong components. This range of granulating knives is known for their performance & durability which is particularly checked by quality inspectors for define their flawless range. Our customers can but these granulating knives from us at very reasonable rates. 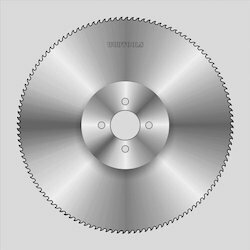 With huge years of industry experience, we are offering Circular Saw Blade. The offered granulating knives are specifically processed with top-notch components and newest ideas of developing keeping in mind ever the well defined requirements. Also, these granulating knives are known for their user friendliness & long life. Besides, we present these granulating knives customization options to choose from only at suitable rates. Our expertise enables us to manufacture export, distribute, wholesale, trade and supply a high quality assortment of TCT Circular Saws. The offered band saws are resourcefully developed by experts of market with the new technology. These band saws are well developed as per tools market standards. Besides, our customers can have these band saws from us in several packaging options at reasonable rates. We are instrumental in offering our precious clients a comprehensive range of TCT Circular Saws. The offered circular saws are made by strong components along with the touch of excellence by our experts. Our quality specialist perfectly tests the circular saws to deliver smooth range. Along with that, customers can take these circular saws at affordable rates. Furthermore, we are giving this circular saws perfect range at affordable prices. We are highly instrumental in offering highly efficient Ginning Saws. The offered flakers are specifically processed with top-notch components and newest ideas of developing keeping in mind ever the well defined requirements. Also, these flakers are known for their user friendliness & long life. Besides, we present these flakers customization options to choose from only at suitable rates. 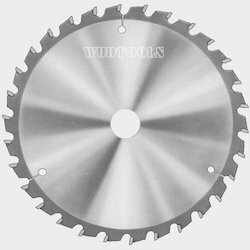 Looking for Circular Saws ?